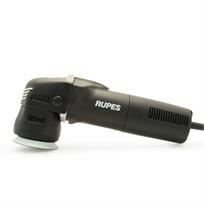 RUPES BigFoot LHR 75E Mini Random Orbital Polisher. Most dual action polishers have a 'kick' as a result of their eccentric head movement, however the RUPES Random Orbital 'Big Foot' Machine Polisher is different. 2 years in development and testing, the Big Foot offers a very smooth polishing action making it extremely comfortable to use even when working for prolonged periods. Suitable for all types of polishing application including automotive and marine paintwork, clearcoat, gelcoat, plastics and wood. Backing plate: 75mm / 3"
Max polishing pad size: 100mm / 4"